Phronesis is a multi-disciplinary practise offering our clients specialised individual attention and solutions required by an ever-changing project environment. Phronesis perceives teamwork as the key success element, wherein, the overall project manager is duty-bound to ensure efficient and regular communication with all the stakeholders, at all levels. We believe in a hands-on approach on all projects with control of the key functions on the projects. Phronesis is equipped with the state of the art Technology and matching Human Resource, to ensure that impeccable and exquisite professional service is provided at all times. Our Mission : ‘Strive for Excellence’ and offer exceptional service in each of our professional disciplines, in accordance with statutory practices, codes of conduct and integrity, thereby, establish our team to provide leading platform and service our valued Clients. Our Vision : to equip our multi-disciplinary specialists to provide a broad spectrum of Cyber Security, Information Technology and IT Infrastructure Management Consulting, Corporate Communication services through excellence and efficiency in all aspects of the project life cycle, so that we become our esteemed Clients’ preferred Professional Service Provider (PSP) choice. Whether it is a Cyber Security project, IT Infrastructure project, implementation of a project management system or programme management of a multi-faceted initiative, Phronesis is a leading practice that will exceed expectations and set new standards of excellence. Lt Col Bryan Miranda is 1997 Batch commissioned officer of the Indian Army. He has served with the Corps of Engineers and later transitioned to the Intelligence Corps. 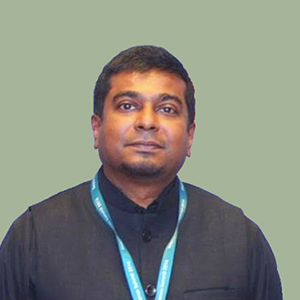 An engineering graduate from the University of Madras who has held various leadership, staff, training and administrative appointments in his seventeen years of illustrious service in the Armed Forces. He was also part of the National Security Guard (Black Cat Commandos), the elite federal contingency task force of the Government of India. A security specialist with over 21 years of experience in the areas of Cyber Security, Cyber Forensics, Information Warfare, Intelligence Acquisition, Counter Intelligence, Prophylactic Security, Design & Deployment of Security Systems, Planning and Strategy. He has served in the most sensitive appointment of Team Manager, Cyber Intelligence Acquisitions for the Military Intelligence. He holds various certifications in Offensive Security, Cyber Forensics, Cryptography & Information Warfare. Having known Phronesis to be a creative and focused organisation, I have had the privilege of associating with them. My considered view is the solutions offered by the team is comprehensive, innovative, cost-effective, simple to apply and above all secure. Modern Communication is an amalgamation of Visual Language, Technology, Strategic Thinking and Moves. While Phronesis excels in this aspect, the thing that sets them apart is their emotional connect - most essential but often ignored in the quest for numbers. It is fellow-People we communicate to and Emotions is our primal nature. When you add the distinguished Military Service of the founders, it leaves no one in doubt about the team, their standards and services! The fact that we have left our Reputation on the web to the Phronesis Team is the best statement of their competence. A team of outstanding professionals who are doing a great work in the field of corporate communications and cyber security. I wish them success in their endeavours. I have been closely associated with Phronesis for 2 years and have come to find that the company and its team are a group of professionals that performed beyond my expectations. The company is a well coordinated, organized and skilled corporation that understands the client's requirements and delivers exceptional results. 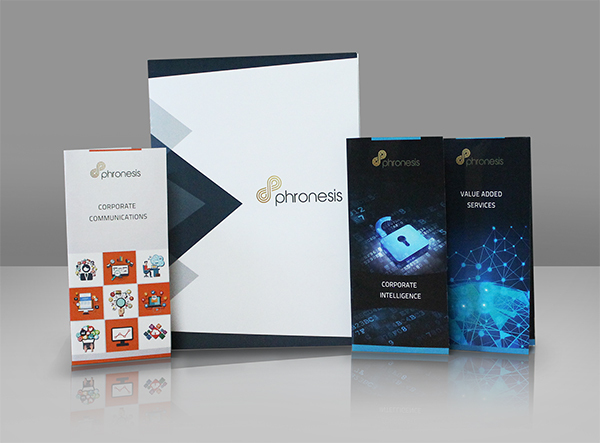 Phronesis’s dedicated team can provide the best intelligence support to the corporate world. We are very privileged to be a part of the extended Phronesis family. They have been our website partners for a while and we are very happy with the experience and especially impressed by the dynamic leadership of Lt. Col. Bryan Miranda. A thoroughbred professional team who ensure to create a moment of truth in their deliverance. A passion to execute the mission to arrive at a logical and conclusive picture. My good wishes with the team of pros! A Company that boasts of having a unique blend of proactive, creative, implementable and 'Intelligent' solutions to the complex corporate requirements. A highly professional outfit, designed and equipped to undertake and complete assignments in an extremely thorough and meticulous manner. A pleasure to be affiliated with. A true value based one stop professional intelligence consultant group!